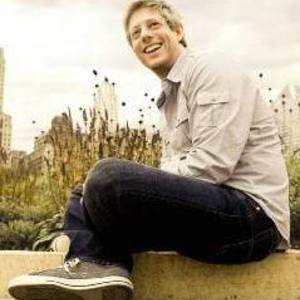 Matt Maher is a singer/songwriter/worship leader originally from Newfoundland, Canada, who later relocated to Mesa, Arizona. His contribution to contemporary praise and worship within the Catholic Church has been immeasurable and continues to flourish in the Christian world. Matt's music appeals to a new generation and yet maintains the depth and meaning that Christians need in their music, liturgy, and worship. Matt makes appearances at various youth conferences and events, including several World Youth Day (WYD) conferences. At WYD 2002 in Toronto he played his "Litany of the Saints" in the company of His Holiness John Paul II. He also performed at WYD 2008 in Sydney. He has had several Christian radio hits such as "Your Grace is Enough", from his album "Empty & Beautiful," as well as the title track from his latest album "Alive Again". His songs "Love Has Come" and "Just Like You" were recorded by Kathy Troccoli for her album The Heart of Me and "Your Grace is Enough" was recorded by Chris Tomlin for his album Arriving. The End and the Beginning (2001) featuring Love Has Come, Just Like You, Lamb of God, and The End and the Beginning.